I have read a great deal of surveys and studies on the effects of fluoride on the body and I have made a conscious choice to use toothpaste without fluoride. This is no mean feat. There are very few toothpaste products without fluoride that leave your teeth feeling clean and fresh. Well, I have now found one. 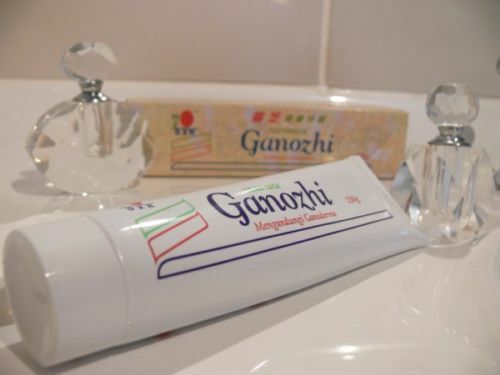 About a couple of years ago I was with a friend of mine that was visiting a homeopath for medical reasons and he had a toothpaste on his shelf called Ganozhi. I read the pamphlet and of course as with a lot of products it sounded like the “Bee’s Knee’s” (pretty good), so I bought it. It was more expensive than normal grocery store toothpaste, but it did not contain any fluoride and it listed many other benefits that I will detail later. I have been using it ever since and that is about 6 years. It tastes good, my teeth feel smooth and clean after using it, and not only does it not have fluoride, it does not have any Aluminum dioxide, aspartame (saccharin) phenylalanine or potassium nitrate. This toothpaste contains Ganoderma, (I will explain later what that is) vegetable gel, menthol, peppermint oil and water. My teeth and gums have never been better. My mouth feels in great condition. I would recommend this to anyone. In fact, I have all my family and friends using it. Everyone tells me they love it. The company that makes and sells the toothpaste sells many great products containing Ganoderma. I have been drinking the coffee on a regular basis and have not only found it enjoyable, I have found a few benefits, I believe that it has, one is that in my opinion, it has helped me lose a few pounds in weight. Not only that, I believe it has some health benefits like more energy (that might have caused the weight loss) and general well being. The Ganoderma tablets have been wonderful. I have stopped my regular vitamin supplements to see if I could notice any difference. I have noticed I am sleeping better, my skin appearance seems to improved. I have been taking them now for 4 months. To Order these products or become a member. To Purchase Products in USA and Canada – Email – lesley@simplyfantasticbooks.com and give details of the products you would like. To be a member allows you to buy the products at a cheaper rate which is an advantage if you intend to keep buying these products. I joined because I will not use any other toothpaste so it was to my advantage. It saves you about 20% on the products. You are able to earn a commision for any sales you make as well, so it can be a money making business for you. And why should you be interested in it? Ganoderma Lucidum, also known as Lingzhi (Chinese) or Reishi (Japanese) is a type of Mushroom that has been used for thousands of years throughout Asia, for its beneficial effects on our ability to maintain or improve health. Since the commercial use of this mushroom in capsule form, over 4 million people now use it worldwide. DXN Ganoderma provides help to the body through its wide range of nutraceuticals (nutrients found in plants that have therapeutic properties). ~Allowable Claim, Australian Register of Therapeutic Goods. How does the body improve its overall well-being? Firstly, no part of the body can be considered in isolation. Every part is linked to, and affects or is affected by, other parts. Well-being is properly seen as overall health. This includes how you feel, how your body operates, how it handles stress and environmental threats such as over-acidity, viruses or cellular disorders, and how it develops though the various stages of life. When well-being requires improvement, your body is not operating properly, due to the above threats. These may have been encountered through poor nutrition, external factors of stress or exposure to radiation, chemicals etc. It deals with these threats to its well-being, using inbuilt systems of immune defense, detoxification and rebuilding of cells. However, all these systems are made of cells and all of these cells require correct nutrition. How does DXN Ganoderma help the body to improve its well-being? Triterpenes and Triterpenoids–up to 137 types including six types of cytotoxic triterpenes. Some are active as antiviral agents against human immunodeficiency viruses. Reishi (Ganoderma lucidum) contains carbohydrates, fiber, amino acids, steroids, triterpenes, lipids, glucoside, coumarin glycoside, volatile oil, vitamin B2 (riboflavin), and ascorbic acid. Additionally, reishi contains ganoderic acid, which is a free-radical scavenger, giving Reishi antioxidant powers. 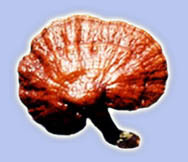 Ganoderic acids U through Z, including six types of cytotoxic triterpenes are found in Reishi. It is rich in a number of complex phyto-chemicals, including ergosterol, fumaric acid, aminoglucose, and man-nitol; coumarins; alkaloids; lactone; and various enzymes. How can one fungus help the human body in so many ways? Traditional Eastern medical science explains Reishi’s wide range of medicinal applications better, perhaps, than mainstream medicine ever could. According to Eastern thought, the body needs to defend itself against threats to its “equilibrium.” These threats can be physical, such as viruses and bacteria that cause infection; emotional, such as stressors that cause anxiety; or energetic, in that they reduce alertness. Whatever the threat, Reishi helps the body maintain its defense against these threats to its equilibrium, helping the body to maintain balance. In this sense, if the body is out of balance, this is why an equilibrium-enhancing remedy such as Reishi can help so many diverse ailments. However, keep in mind that Reishi isn’t exactly the kind of mushroom you’ll want to put in your next salad, either. Since it’s more than 90 percent indigestible fiber, Reishi has an extremely wood-like texture and to top it off, it’s unpleasantly bitter. In spite of this bitter flavor, many Reishi enthusiasts use ground Reishi to make a life-enhancing tea or even use the mushrooms in soups. For the less daring take Reishi capsules, tablets and extracts, and Japanese research suggests taking vitamin C along with it may enhance Reishi’s medicinal effects. No organ enjoys Reishi’s attention more than the liver! With its 300-plus biochemical processes and functions, the liver has the most to gain from regular intake of nature’s strongest adaptogen. Reishi Mushrooms known are the “lucky fungus,” in Japan. 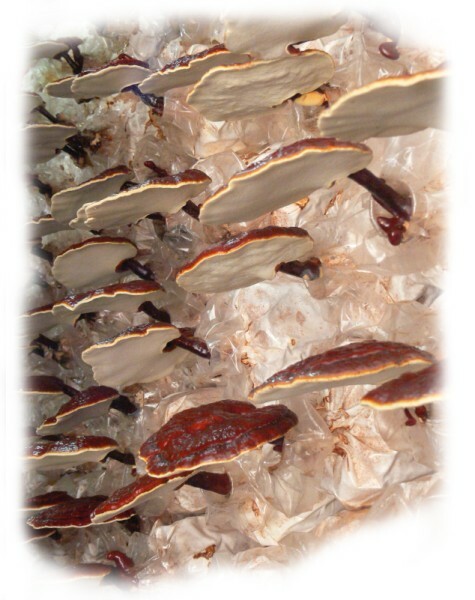 Reishi mushrooms were originally used in China in both cooking and traditional healing. Reishi mushrooms, which are quite pricey, are available in Asian markets and gourmet shops. However, they may be worth their weight in gold. Perhaps one of the reasons the Chinese regard mushrooms as spirit medicine is the claim found in the oldest recorded botanical monograph on this powerful Chinese medicine. Ganoderma, also known as Ling-zhi (Chinese) or Reishi (Japanese) and as the “King of Herbs” contains over 400 nutritional properties, the highest known in any one plant. The cells in our body use these to help the natural balancing and maintenance required for good health. A healthy mouth has no ulcers, tooth decay, gum disease, loose teeth or plaque. Only a small amount of Ganozhi toothpaste is needed for good mouth hygiene. Unlike the commercial toothpastes, this paste does not contain, Fluoride, Aluminum Dioxide, aspartame (saccharin), phenylalanine or potassium nitrate. May be used directly from the tube as a paste on most skin conditions. Apply twice daily or as required until you get results. May be used for Pain Relief on: Muscles, throat, chest etc. Simply apply a warm damp cloth to any area in pain (To open up pores) and then apply a small amount of paste. May also be used on: Insect bites, chafes, burns, sunburn, cuts, scratches and sunspots. Apply a small amount to affected area, twice daily if needed. A tube should be included in every first aid kit. To Purchase Products – Email – lesley@simplyfantasticbooks.com and give details of the products you would like. Thankyou for your comment Cathy. I have been taking the tablets now for over 6 month and in that time my cholesterol has improved to a healthy level and I believe that it has been because of the Ganoderma Mushroom tablets. I have my husband on them now so will see if it brings down his blood pressure. Nice piece of facts that you’ve got in this website submit. Hope I can get some much more of this stuff on your weblog. I’ll occur back. Adding to my bookmarks cheers, a good fast read. I like this information and it has given me some sort of inspiration to have success for some reason, so thank you. Moreover I´m definitely thinking about blogging these figures in my own blog! I wished to regards for this fantastic read!! I definitely enjoying every little bit of it.I have you saved to check out new stuff you post. OK nice to see- useful comments are always welcome! See yas. I really enjoyed the article. It is always nice when you find something that is not only informative but entertaining. Greet! I wanted to thank you for this interesting I definitely loved every little bit of it. I have you bookmarked your web site to check out the latest stuff you post. Maybe the top thing that I have read all month!!! Hi, good day. Wonderful post. You have gained a new subscriber. Pleasee continue this great work and I look forward to more of your great blog posts. This page appears to recieve a great deal of visitors. How do you promote it? It offers a nice unique spin on things. I guess having something useful or substantial to post about is the most important thing. Very good written post. It will be helpful to anyone who usess it, as well as myself. Keep doing what you are doing – for sure i will check out more posts. Can one put some of this on my blog if I include a backlink for this web site? Sure you can. Its a great product. Your article is pretty sluggish to load when using Firefox. Thanks for keeping up to date with the latest. Sure. Its a great product. Have been using the toothpaste for at least two years now. I would not use anything else. I also use the vinegar, the coffee (black), Cordypine (which I found excellent} and the Gano tablets. I like your blog. You have a good way of putting facts to be understood easily. Is there a way I can get a more printer friendly version of this website? Thanks a lot sharing such educational weblog to us all.I’ve recently been visiting for quite a while, just wanted to show you! I was very happy to search out this net-site.I wished to thanks to your time for this wonderful read!! I positively having fun with every little little bit of it and I have you bookmarked to take a look at new stuff you weblog post. Thank you a lot for sharing this with all people you actually know what you’re speaking approximately! Bookmarked. Kindly also visit my website =). We could have a link change contract between us! I’m honored to get a call from my friend as soon as he discovered the important tips shared in your site. Reading through your blog posting is a real excellent experience. Many thanks for thinking of readers at all like me, and I desire for you the best of achievements as being a professional topic. For what its worth I also love the design of your website, incredibly effective. Thanks. excellent facts People are guaranteed to obtain the following important. I’d absolutely no clue about many of the elements everyone mentioned previously, thanks! I get exactly where your coming from, combined with I thoroughly adore the write-up. Its fair to say I will certainly notify just about all my personal contacts with regards to it, very original. Bye for the time being. 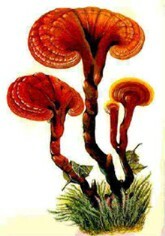 I agree the ganoderma mushroom has so many health benefits we all should be using it. It’s great in coffee because coffee complements the taste. Thanks for sharing the post. Ganoderma is something we all should be informed about. It’s truly amazing, all the benefits it gives our bodies. When consumed properly, I believe people can live a much longer and healthier life. Ganoderma products are such a helpful gift by nature. Recently i got a suggestion from my friend about Ganoderma products and these are very helpful like Coffee, tea and other skin care products. here. I’m sending it to some friends ans also sharing in delicious. And naturally, thanks for your effort! What’s up, I want to subscribe for this web site to obtain most up-to-date updates, therefore where can i do it please help out. You actually make it appear really easy with your presentation however I find this matter to be actually one thing which I believe I might never understand. Fastidious respose in return of this issue with reeal arguments and descrijbing everything rrgarding that.